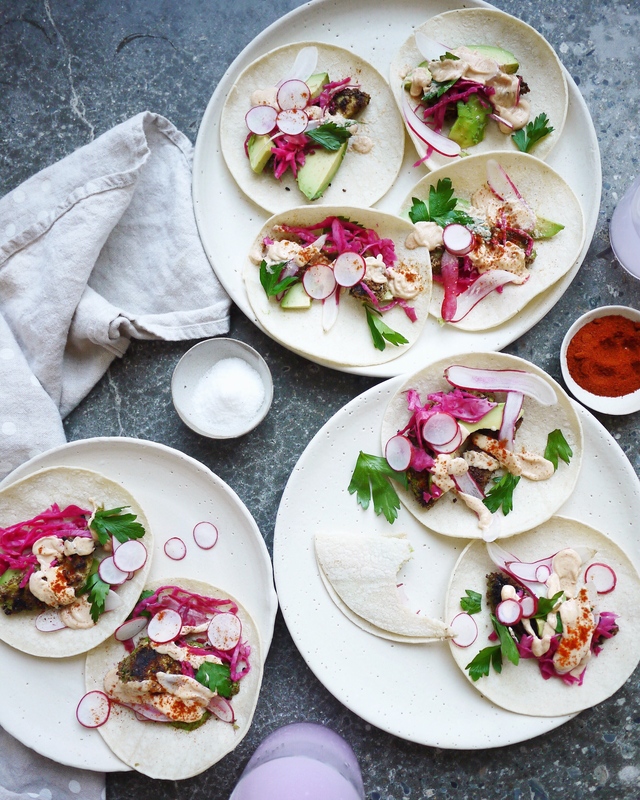 Everyone loves tacos…and everyone loves avocados. Combine them, and you’ve got an instant crowd-pleasing appetizer. 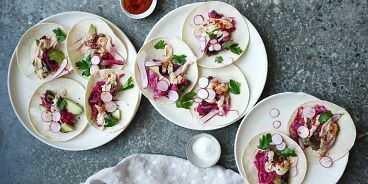 Plus, this recipe is super simple and good hot or cold, so no need to prepare as your guests are arriving (stressful!). Thanks to All-Bran for sponsoring this recipe post! 1. With a food processor (or your hands…or a ziploc bag + mallet), crush All Bran Flakes into small bits, then mix with chipotle spice (add more if you like it spicy) and salt. Set aside. 2. Prepare your chipotle mayo by simply mixing together Vegennaise/mayonnaise with chipotle spice (make extra to have on hand for later!). 3. Add a generous amount of oil to a medium-sized pan and heat on medium high. Slice avocados into wedges (not too thin or they’ll break). Dip into egg, then gently press into your All-Bran flake mixture, coating entirely. Fry wedges in your hot pan until golden brown on either side (about four minutes each side). 4. To serve: add two avocado wedges to each taco shell and garnish with a generous squirt of chipotle mayo and a sprinkling of pickled jalapenos, a few radish slices and cilantro. Enjoy! How to Enter: Simply like this shot on Instagram and tag two taco-loving friends — easy peasy. Good luck! Contest Timeline: The contest closes on Monday, November 23rd at 9am. Winner will be announce shortly afterwards here and on Instagram. UPDATE: Congrats to @caffeinatedbcmom who is our winner!! Thanks to all who entered! 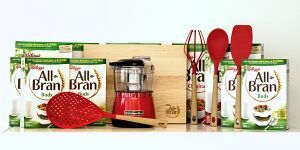 For more fibre-filled recipes using All-Bran, head to www.albran.ca or All-Bran’s Pinterest page. And if you try this recipe, use the hashtag #AllBran so I can see it!